[ 5 x 7 IN SIZE ] Don't be fooled by small invitations. Our invitations measure 5 inches wide x 7 inches tall. In addition, all of our invitations are two sided with high quality colors. [ THICK CARDSTOCK ] All of our invitations are printed on a thick 14 pt cardstock that features the colorful design on both sides in full-color. 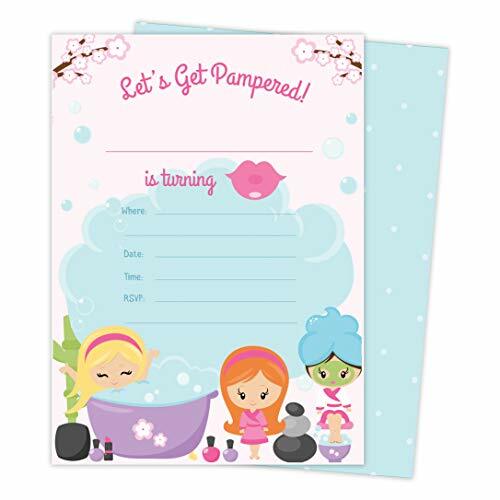 Invitations are also uncoated, meaning that it's super easy for you to write all of the party information on them.